To be frank, I hated Halo 3 and ODST along with the hype that followed in their wakes. I enjoyed Halo 2 and only recently got my hands on Combat Evolved which I also enjoy. My skepticism peaks when Halo is brought up. With that said, Bungie’s farewell to the franchise has re-converted me; they have made me believe that they are still capable of producing quality. 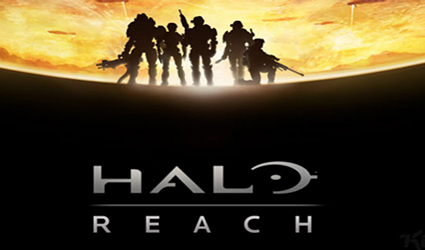 I don’t know if Reach, or any game for that matter, can live up to the hype it receives, but I can honestly say that it is a treat that you should not pass up. 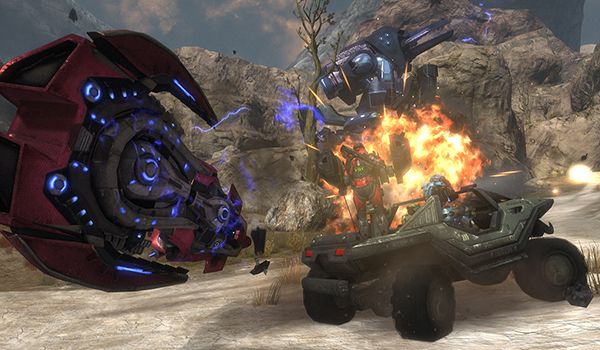 Halo: Reach deals with the events directly leading into Halo: Combat Evolved. Specifically, the fall of planet Reach and the sacrifices made to ensure that Cortana makes it off of the planet before it falls. 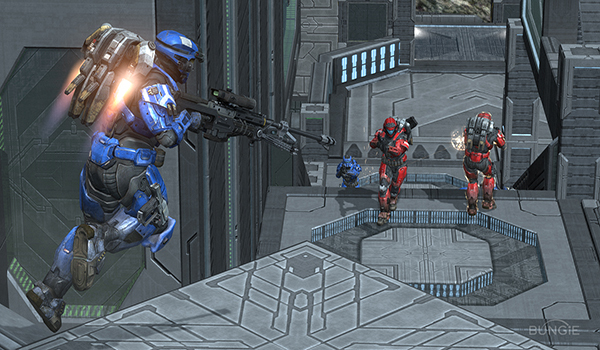 Players will start out in control of Noble 6, an almost blank slate with some stated ‘lone wolf tendencies,’ who is filling an empty spot in the spartan Noble squad. Alongside Noble 6 is a diverse cast of characters who each hedge towards a particular archetype. Regardless, they are each able to stand out enough to leave a particularly unique emotional imprint. What I found most remarkable about the entire campaign, in fact, was how fascinated I was by the brief interactions between the whole of Noble squad despite them being characters I knew I had seen elsewhere. The way the team coalesced, and the emotional impact each of their sacrifices had on me was something I never thought I would be complimenting Halo on, but here I sit, pleasantly surprised. Characters aside, Reach’s storyline is passable. 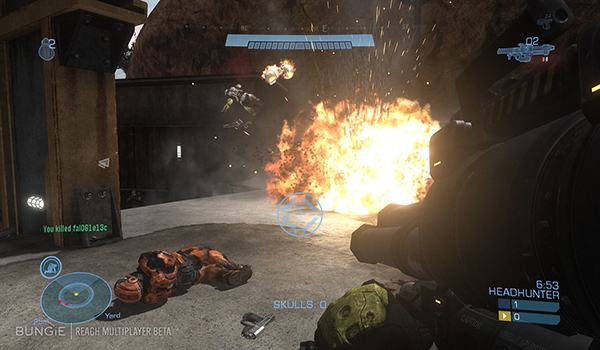 The connections to Halo 1 are the only other real tangible threads which keep the player engaged in the story. Bungie set out to mold a more dramatic Halo and, where presentation is concerned, succeeded inspiringly. Reach is melodrama tempered with the classic Halo moral that the human spirit is strong enough to persevere against unwinnable odds. Despite Reach’s fall, fans of the series know best that it is only the battle, and not the war. Like the rest of the series, Reach is not an ugly game, but the visuals can definitely be lacking at times. 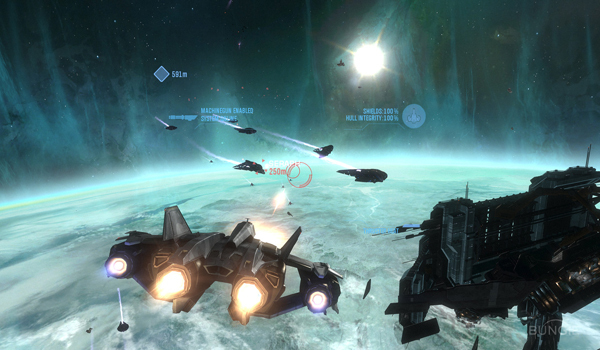 It is the best looking Halo title out, but it still trails behind its contemporaries, except for the vistas. For example, the rolling lightning storms, photo realistic clouds, and subtle lighting effects create an atmosphere that sets that mission apart as being particularly beautiful. There’s also the much talked about space mission which contains so many gorgeous details that I am getting ready to go into a diabetic coma just thinking about the eye-candy; plus, it’s a really fun mission to boot. To make a long story short, the vistas in Reach, particularly the planetary view (ala Shattered Horizon) from the mission I just described, are among the prettiest things I have ever seen in a video game. My only major gripe I have with Reach’s visuals is the appalling motion blur which was so bad that, at first, I mistook it for ghosting on my TV. It isn’t something that goes away nor can it be toggled off either. It drove me nuts through-out the game. One of my biggest criticisms of previous Halo campaigns has been the tedious pacing and repetitive mission structure. Bungie has addressed this generously. Players will still find themselves engaging in mostly the same firefights, but in fewer quantities (with greater quantities of enemies) and more to do aside from, like jetpack platforming, on-rails helicopter turret sections, stretches utilizing warthogs, and the aforementioned space mission which I will try not to spoil. The campaign’s pacing is much more akin to a roller coaster now, and not a constantly intense free fall. Speaking of jetpacks, the addition of armor powers, like shields, a new form of active camo, armor lock, and the previously mentioned jetpacks are wonderful little additions that open up some refreshing options for a series whose combat hasn’t evolved in a long time. Unfortunately, while Bungie remedied two of my pet peeves from Halos past, they created a whole new one which is far worse than poor pacing. Halo’s enemy A.I. has always stood out as particularly well crafted, and it still is positively lethal. Your A.I. squadmates, on the other hand, are about as bright as a black hole. With an expansive armory allowing you to customize every little detail of your spartan, from left and right shoulder pieces, to visor colors and helmets, down to voices for the game’s firefight mode, Reach proves to be superbly customizable. Also, with a daily and weekly challenge system and the ability to earn credits towards the purchase of new aesthetic items, Bungie has added an almost World of Warcraft-like addictive element to the game. Even gameplay options are extensively pliable. There are simply too many permutations of game variables to list. These are all in addition to the standard 65 separate game types available in match making out of the box. Although to be fair, a good percentage of those are variations of other games types (Slayer, pro slayer, slayer with DMRs only). Still, the variety is there and there are a few game modes that are pure bliss, and make the game worth it on their own. I speak of firefight, which has been polished, buffed, and polished again from its debut in ODST, and of modes like headhunter and oddball (the latter of which makes me bounce up and down in glee like an 8 year old). Forge adds another layer to the customization and variety that lies within the hands of Reach’s playerbase. With previous versions of Forge, Halo held the distinction of being one of the only games on consoles to boast a fairly powerful editor, and although the ante is slowly being upped by companies like Media Molecule and games like Modnation Racers, Forge still holds on to that distinction. With that said, Reach’s iteration on Forge world is something so robust that it completely eclipses any version from past Halo games. 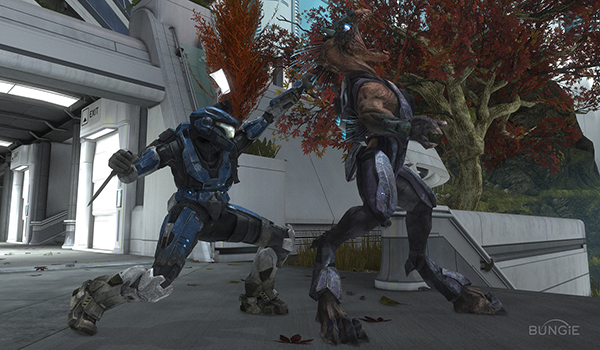 As for Halo’s standard multiplayer and combat, you’ve heard it all before. Combat is still fluid, just touched up. You won’t be bringing anyone from full armor to dead with 3 bullets, and aside from the much needed improvements and the fact the game is more mechanically reminiscent to Halo 1 than Halo 3, it still Halo, for better or worse. If you haven’t tried a Halo game before, or if you were sorely disappointed by 3, I would encourage you to give Reach a chance.